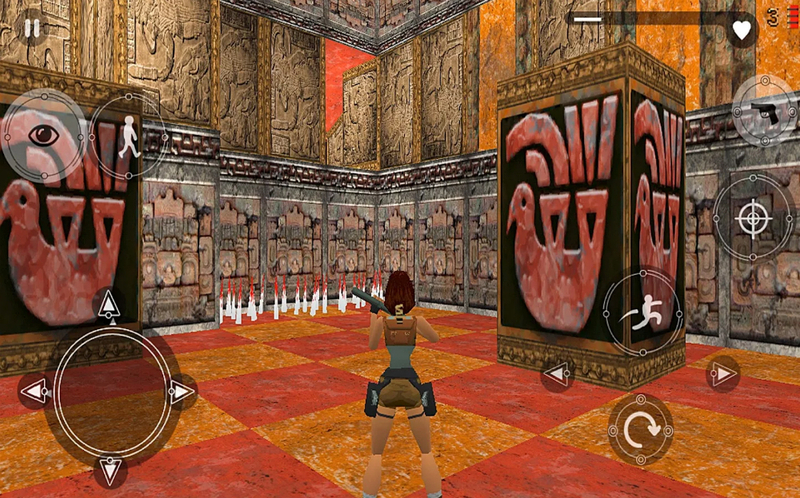 Lara Croft, one of the most popular lady explorers in the history of humankind, is now available on Google Play thanks to the release of the OG Tomb Raider game, published by Square Enix. Priced at just $0.99, you can relive the magic of the fantastic original, which was first made available back in the mid 90s on PlayStation, DOS, and the Sega Saturn. In Tomb Raider, you play as Lara Croft, an intelligent archaeologist who travels to distant tombs and ruins, always getting into trouble with monsters, evil people, and ancient curses. Lara is known for her usage of dual-wielded handguns, which helps you blow away anyone who might get in your way. I remember trying to play this game way back in the day on my PlayStation, but I could never really figure out the controls very well. Thankfully, I can try again now on my Android phone. Below, check out the full feature list, then go get it on Google Play. Epic Exploration – Uncover the deepest, darkest mysteries of the lost city of Atlantis and unearth secrets to Lara’s past. Acrobatic Gunplay – Deftly leap around charging enemies while you unleash a hail of bullets from your trademark dual pistols.